1. Adjust headlights so that main axis of light is parallel to center line of the body and is aligned with point “P” shown in the illustration. 2. 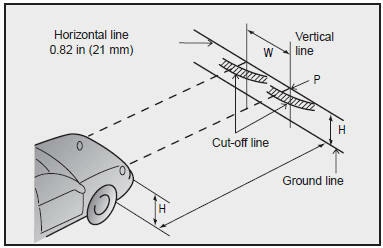 Dotted lines in the illustration show center of headlights.